As a lover of sleep I thought it would be a good idea to share some of the benefits of a getting a good amount of zzz’s and get you understanding why it is so important for numerous health reasons. Do you feel like you have had enough sleep this week? When was the last time you woke up without an alarm? Can you survive the day without that constant urge for caffeine? Firstly, lets discuss how much sleep you should be getting per night. Research shows that anything between 7 and 9 hours is the optimal amount of shut eye you need to wake up more refreshed and alert for the days obstacles. This may not be breaking news to you but do you know why? 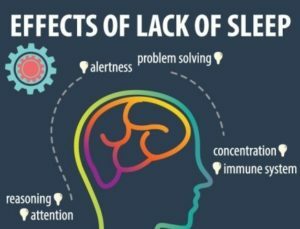 Attention span- Lack of sleep drastically affects your ability to concentrate and the more time that goes by, these impairments escalate at a ballistic rate. Your performance at work will deteriorate and you are much more likely to crash between the wheel of a car. Metabolism and diabetes can be problematic as the less you sleep the less likely you will want to eat and your body will be less likely to be able to deal with the calories you put in, especially sugars in the blood. Cardiovascular problems can arise as blood pressure rises which puts more stress on the blood vessels and heart. Reproductive systems can be affected as testosterone in men and follicular releasing hormone in women can drop. Combining these can have damaging effects on the ability to reproduce. Immune function will slump as sleep deploys all its weaponry cells to fight against infection and can be up to 70 percent less in a single short night sleep. This also means that cancer cells are increasingly more likely to develop. Have a dark room to assist with your natural body clock and avoid bright lights like phones.